Centum Press launches in officially in 8 days, but they already have a noticeable literary following on Twitter, with over 1,600 followers. You can follow their page here. 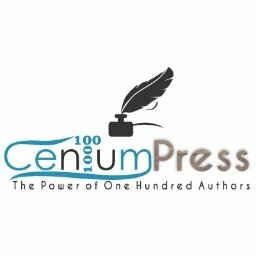 Centum Press is a new publisher that will be paying actual royalties to each author whose work is published in its anthologies. Centum Press will be able to do this thanks to a unique publishing model it has developed that will bring its authors together to promote the anthologies in which they’re published in a fashion that will make them massively successful for everyone involved. Centum will be looking to publish short and flash fiction. Their full guidelines are not yet available, but be sure to keep an eye out and check out their website in a week or so. You can sign up to their newsletter for further information.